The female energy system is finely tuned and many women (and indeed their partners and families) do not realise just how much we are affected each day by our feelings and by the energy that is around us – from our personal circumstances, our immediate environment and of course planetary energies. During my early adult life, I believed that I was at the mercy of my hormones and that I had no or little control of how this experience could be for me. It was only when I began taking greater care of myself and exploring how flower essences could help me that everything began to change. So in this article I’d like to share with you some areas to reflect upon to help you become more attuned to your own energetic cycle and also 3 flower essences that have really helped me and many of my clients and students with a greater sense of well-being. – No matter whether you are still experiencing a menstrual cycle or not, do you keep going at the same pace 7 days a week and in all seasons of the year? I know I used to and it was one of THE most healing experiences for me when I began to notice that the way I lived my life was totally out of synch with nature. To stay in perfect balance, our world has day (energy time) and night (rest time); Summer (outward time) and Winter (inward time) – do you allow yourself to experience both times of day and all seasons energetically? – Have you ever taken the time to notice how the moon cycle affects you? 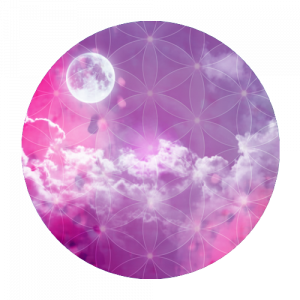 At what time of the moon cycle do you most often experience your menstrual period and if you are no longer experiencing this, what times of the moon cycle do you find yourself feeling most well ? For example many find it much more difficult to sleep during the Full Moon while others feel at their best. Take time to notice how your energy fits in with the world that you live in – it can make all the difference in the world when we realise that we are PART of nature and not separate from her. You can then take steps to take care of yourself more during more challenging times – for example, ensuring you get enough sleep, eat well and of course support yourself more fully with flower essences. I’d love to know which is YOUR favourite favourite flower essence for reminding you how beautiful you are as a woman and that has helped YOU feel more in harmony with the inner changes inherent in being a woman – please do leave a comment on this blog and share your experiences. And if you’d like to find out other ways of using flower essences to promote well-being in your life and maybe participate in one of our training courses – sign up to my newsletter by visiting my training site Essentially Flowers Portal and listen to my weekly NATURE CONNECTIONS radio show on Nature Connections Podcasts.